The Wonder Garden is a collection of exquisite short stories by Lauren Acampora, a new writer whom I’ve added to my “read-everything-by-this-author” list. I’ve been reading more short stories lately, and I especially like these because they are linked: a protagonist in one story appears as a supporting character in the other stories, so that the collection reads like novel. The stories are wickedly funny, psychologically complex, dark, uniquely American, and occasionally bleak – but leavened with an understated joy in the ebbs and flows and seasons of life. Living in suburbia and having raised children there, I find them so resonant. Fictitious Old Cranbury is John Cheever and Mad Men territory, except post 9/11: an upscale Connecticut town on Long Island Sound, the home of a few have-nots but mostly haves. There is a memorial dedicated to five fathers who worked for Cantor Fitzgerald and were killed on September 11. The houses of Old Cranbury form a motif that further links the stories. The restored salt boxes and farmhouses, pretentious mansions, and humbler ranches fitted with granite countertops and fake shutters reflect their inhabitants’ aspirations and obsessions. Acampora has compassion for her characters, but she can be scathing, too. Rosalie, for example (see above quote) is the type of hyperactive suburban mother who does everything and knows everyone and gives over her life to her five children: she is on the school board, she is prominent in the PTA, she hosts a book club, she makes themed halloween costumes for the entire family, including her brain surgeon husband. She is a good Christian woman who understands she has been greatly blessed and decides to host a poor Bangladeshi foreign exchange student for a semester. There is a wonderful turning point in the story when the student, Nayana, expresses her sympathy for Noah, Rosalie’s youngest. Rosalie is puzzled by this, and Nayana explains that Noah had revealed his true history to her: he was adopted into the family, having lost his birth father in 9/11. Noah’s story is sheer fabrication and Rosalie is horrified, having seen to it that her children have lacked for nothing. Confronting Noah, she is undone by this previously unseen side of her son: it may as well be true, he says, because his neurosurgeon father is never around, implying that Rosalie, too, is lacking as a mother. Concurrent threads in the story reveal that the all-male members of the school board condescend to Rosalie and, most chillingly of all, her husband seems to view her with contempt. I disliked Rosalie and was highly entertained by her, but at the same I recognized that, though she works hard and means well, she is an aging, marginalized woman in what is still a sexist culture. She is in many respects a throwback to the 1950s, pre-feminist, stay-at-home wives. Another story is about a young single mother who meets a brain surgeon (yes, Rosalie’s husband) and really believes he will whisk her away to a glamorous life in Paris. The brain surgeon gets his own story, and we find out he has a few really bizarre secrets of his own. I loved the aging artist and his wife who transcend themselves to make one last work of art. Then there’s the newly married advertising executive compelled to leave his job so he can follow his animal spirit. And the 50-something real estate broker caught in traffic who decides to just stop; she turns off the ignition as cars maneuver around her and spends a long night in the driver’s seat, reviewing her life. Oh, and, by the way, we haven’t seen the last of Rosalie, who rises like a phoenix in the final story. Lauren Acampora lives in a suburban town much like the one she depicts. 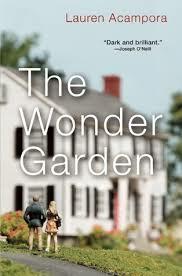 Her husband is an artist, and one of his works is the cover art for The Wonder Garden. This is one book to add to your holiday wish list, and it’s a great book club choice. 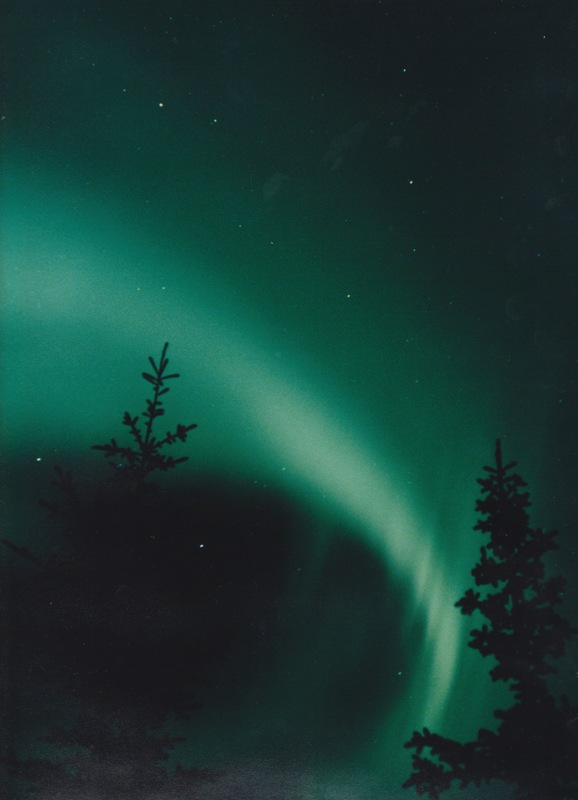 “Christmas Eve he drove all the way to Helena to buy her figure skates. In the morning they wrapped themselves head to toe in furs and went out to skate the river. She held him by the hips and they glided through the blue dawn, skating hard up the frozen coils and shoals, beneath the leafless alders and cottonwoods, only the bare tips of creek willow showing above the snow.” “The Hunter’s Wife,” from The Shell Collector by Anthony Doerr. In Wilmington you don’t have a squad, you don’t have a battle buddy, you don’t even have a weapon. You startle ten times checking for it and it’s not there. You’re safe, so your alertness should be at white, but it’s not. 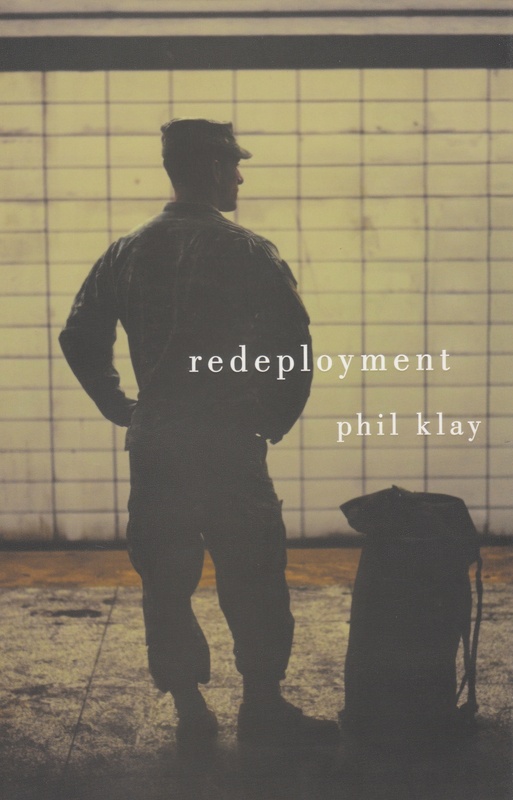 Redeployment, Phil Klay’s collection of short stories, won this year’s National Book Award. It’s been hailed as THE literary work that captures the Iraq and Afghanistan wars, destined to become a classic of war literature. Klay served during the Surge as a public affairs officer in Anbar (Iraq), which has now been infiltrated by ISIS. All the stories in this collection are written from the first person point of view: a military chaplain, a Mortuary Affairs officer, a Marine home on leave, and others because, as Klay said in an interview, each person has a different experience of war. He wanted to capture those varied perspectives. If you read Redeployment, you’ll encounter stark realism, much profanity, and a bewildering array of acronyms: SITREP (Situation Report), RPG (Rocket-Propelled Grenade), CASEVAC (Casualty Evacuation), EOD (Explosive Ordnance Disposal), UXO (Unexploded Ordnance). There is no glossary, of course. Reading along without knowing what the acronyms mean has a confusing and disorienting effect that adds to the sense of overwhelming fear and danger. Klay is a master at conveying situation and character through dialogue and idiosyncratic points of view. These soldiers are strangers in an utterly baffling land. They return home as aliens, isolated and unable to relate to “normal” American life. They are ciphers to an American public tragically disengaged from the war being conducted by their own country. I, myself, do not know a single Iraq or Afghanistan war veteran. There have been a number of interesting interviews with Klay, especially since he won the National Book Award. An NPR interview by Terry Gross is one of my favorites. Terry is adept at asking the hard questions, and Phil Klay is an intense, thoughtful man, a Catholic who attended Jesuit schools. He does not come out in favor of or against the wars, although it’s clear he does not like incompetent leaders or clueless, insensitive civilians. As any good writer does, he lets character and situation tell the stories, allowing readers to draw their own conclusions. In one interview, Klay says that when he returned from Iraq he ran into a friend who said she couldn’t possibly imagine what he’d been through. That did not sit well with Klay. He in fact wanted very much for his friends and American civilians to imagine and understand, which is one of the reasons he wrote the stories. After reading (surviving!) Redeployment, I feel as though saying “Thank you for your service” to military personnel I might encounter would be incredibly lame. I’m not sure I could come up with the right words to show I have even a semblance of an understanding and thatI want to understand more. Redeployment is not comfortable or comforting reading, but necessary if we civilians want to pay attention. 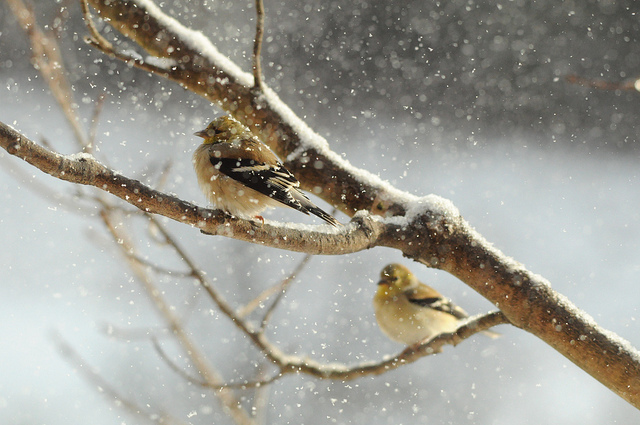 The snow was really coming down this afternoon. I watched people buying groceries for the evening’s dinner, rushing about and remarking on the weather, telling each other to drive safely. I bought some juniper boughs, white button mums, a ruby-red poinsettia. (And a meat loaf for supper.) The snow was still falling when I left. I swept about four inches’ worth off my car. The “shelf” that has to be cleaned is a euphemism for…what? 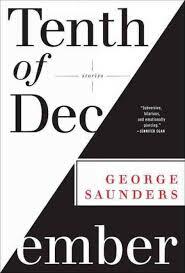 I don’t often read short stories, but I’d heard so many good things about Tenth of December by George Saunders, when I saw the book in our local library’s “Most Wanted” display I checked it out. Saunders has been called the Kurt Vonnegut of our day. He says he’s been influenced by Monty Python. Many highly regarded writers (Mary Karr, David Foster Wallace, Lorrie Moore, Jonathan Franzen, among others) can’t say enough good things about Saunders, who teaches creative writing at Syracuse University. Before he became a highly praised short story writer, Saunders lived here in Rochester, where he was a contract worker for Kodak and a technical writer for a local consulting firm. I was once a Kodak contract worker, too, and that’s partly why I’m so fascinated with Saunders. He writes about the workplace in a liberating, irreverent and hilarious way. In an interview, Saunders has said that he’s grateful for the corporate jobs he held early on that helped support his young family, but that working in a corporate culture long-term can be difficult if you have a creative calling. You can listen to the full interview with Saunders at the link further down in this post. You’ll hear the writer interviewing Saunders tell how she started off in book publishing (as I did) and at times she considered stealing the toilet paper as a small revenge. Working for a prestigious publisher in a Manhattan skyscraper was glamorous but, on the other hand, her salary was tiny, and many employees were exploited. 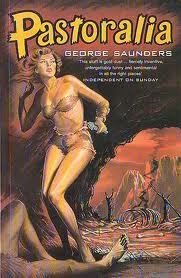 Getting back to Saunders’ stories, they are darkly comic, subversive, strange, and compelling. They’ve been called “alarming” and “tender.” Some are dystopian. You’ll be disturbed, aroused and, perhaps, comforted by the fact that someone recognizes and so eloquently expresses the absurdities of how we live our lives and the dreadful possibilities for the future if certain trends continue. This week Tenth of December was named one of the finalists for the National Book Award. I’ll warn you in advance, though, that Saunders doesn’t read the ending of “Sea Oak.” He’d prefer that you buy the book, of course. In an interview after the reading, Saunders said it took him four years to come up with an ending to “Sea Oak” that he was satisfied with. I, for one, can’t get out of my mind the two teenagers in the opening story, “Victory Lap,” in Tenth of December. Or the strange and horrifying lawn ornaments that are the ultimate status symbols in “The Semplica Girl Diaries.” Or the poor guy who’s in prison and becomes a guinea pig in a pharmaceutical experiment and must choose how it will end. There’s really nothing like a George Saunders short story. Great book club reading, too, guaranteed to spark excellent conversation.